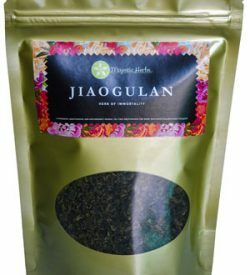 Our organic Jiaogulan is a fair-trade product grown by local hill-tribe farmers in the pristine mountains of the Chiangmai province in northern Thailand – the foothills of the Himalayas. The herb is cultivated without pesticide or chemical fertilizers under the supervision of the Royal Project of His Majesty, King Bhumibol Adulyadej of Thailand, which is a wildly successful initiative that helps solve problems of deforestation, poverty and opium production in hill-tribe communities by replacing the historically relied on drug crops with legal ones that provide higher incomes and better way of life to local villages. 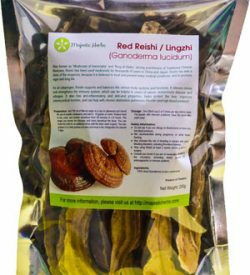 Only organic and sustainable methods are allowed and used in the farming of crops under the Royal Project program, and all farms and their products are licensed and inspected by the Thai FDA. In addition, Jiaogulan is NOT bothered by insects or plant diseases, so growers have no incentive to use pesticides of any kind. 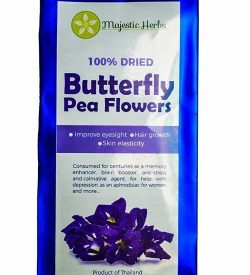 Furthermore, the herb likes fertile soil but is very sensitive to chemical fertilizers, so growers use only compost or humus methods. Following every harvest the farmers plant legumes and build up the soil again by using the nitrogen from peanuts and beans as a natural fertilizer. 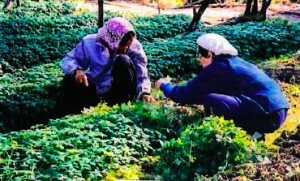 During the cultivation period our Jiaogulan is carefully nurtured and protected from the harsh sunlight. Once the herb is ready for harvesting, it is picked by hand and dried either by using the traditional pan drying method (during the dry season) or by using professional slow-ovens at very low temperatures (during the rainy season). 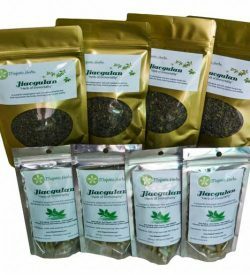 This makes our harvest truly the best tasting Jiaogulan with the greatest health benefits. 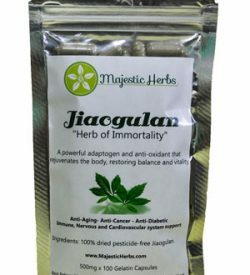 We are proud to say that when you buy Majestic Herbs Jiaogulan everyone is a winner – you’re not only benefiting and healing yourself and your loved ones, you’re also helping to provide income and sustain the traditional ways of life for the wonderful indigenous people of northern Thailand.